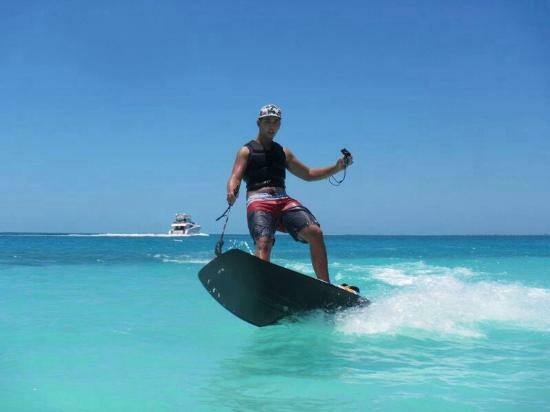 The Jetsurf is a jet propelled surfboard; capable of speeds up to 58km/h. Motorized surfboards are not a new concept and have been around since the early 60’s. The main thing that sets the Jetsurf apart from anything that has been released to the market is the size, weight and strength of the Jetsurf. Weighting just 12.5kg unlike any previous motorized board, this one can be easily carried down to the beach, by a single person and handles like a true surfboard. With a range of up to 75km, it can be taken on long rides and the custom designed carbon fiber hull, allows the rider to take on the biggest swells as well the flat water. It’s the most powerful engine of its kind designed by man. Hand-crafted with ultra-light carbon and kevlar.